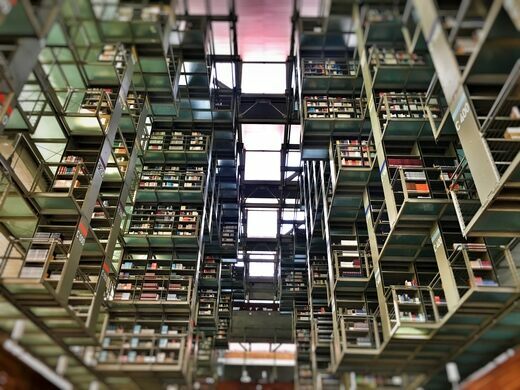 Located in the Buenavista area in the north of Mexico City, the massive Biblioteca Vasconcelos was designed by Alberto Kalach and completed in 2007 after three consecutive years of building. 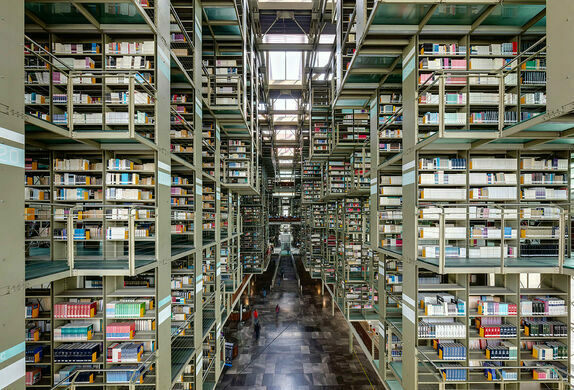 Situated among lush gardens and covering an area of over 38,000 square meters, this temple of knowledge is generally referred to as a “megalibrary” both for its size and the undeniable sense of import conveyed by the structure itself. Transparent walls, stories of intentionally slightly mismatched floors, and intricate networks of balconies and paths between replicating stacks let visitors literally get lost in the worlds contained within the books themselves. 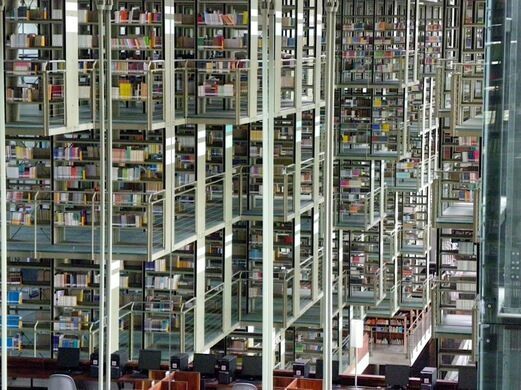 This library resembles something from a short story by the Argentinian magical realist author Jorge Luis Borges. 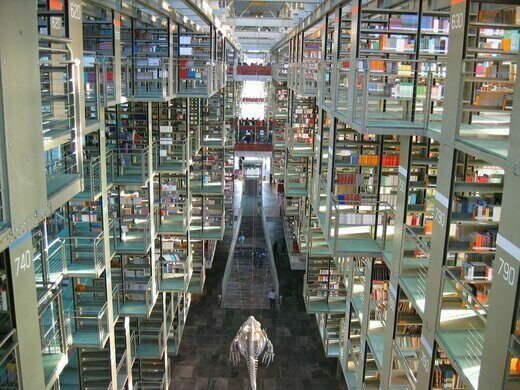 It seems like it would be easy to lose yourself in the Biblioteca Vasconcelos. Because just like the non-textual world, in a megalibrary the options are endless. Choose wisely.